American International Group (AIG) is suing Kim Kardashian West’s former bodyguard for negligence after the reality TV star was robbed of millions of dollars’ worth of jewelry in Paris and the insurer was left to fit the bill. The insurance giant is seeking $6.1 million from Pascal Duvier and his company Protect Security, according to court documents filed on Wednesday in Delaware. AIG claims Duvier - a seasoned security consultant who has worked for various celebrities including singer Ciara and the Black Eyed Peas - “negligently, carelessly, and/or recklessly performed their protection, security, monitoring, inspection, and/or surveying of” Kardashian West and the apartment she stayed in during Paris Fashion Week in October 2016. In the incident two-years-ago, Kardashian West was robbed at gunpoint by a gang of five men disguised as police officers. 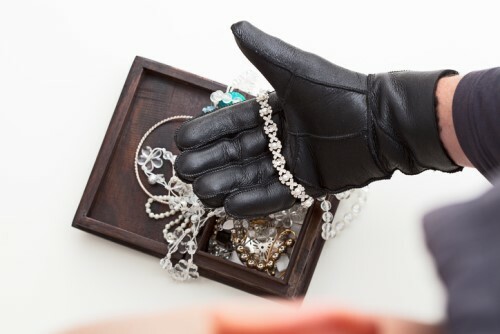 They took an estimated $10 million in cash and jewelry, including a ring thought to be worth $4.49 million and a jewelry box containing about $5.6 million. According to a CNN report, AIG claims the defendants left Kardashian West alone in her room and failed to correct a number of security breaches in the apartment. The alleged breaches include a missing or broken lock, a malfunctioning intercom and the lack of CCTV in the building. The insurer also says the private apartment’s concierge “did not have any security training and/or background”. CNN also reported that a source close to the incident said Kardashian West’s security detail was with her sisters at a nightclub at the time of the robbery. It’s not clear if Duvier was with them or not.